In years past, many companies offered stock options to incentivize employees. Especially in the tech industry, stock options became a common form of compensation for professional employees. In recent years, stock options are much less commonly seen by divorce lawyers. Instead, restricted stock units (RSUs) have become part of the compensation scheme for many companies based in the Seattle area. Just as with options, RSUs must be addressed as part of divorce. This article discusses some of the more important considerations. RSUs are given to employees by the company with a contract that is called a “grant.” The grant specifies all the important details – including the number of RSUs and when they vest. Grants may be given on a recurring schedule (such as yearly), or at certain times (such as a signing bonus.) Similar to options, RSUs vest over time. When RSUs vest, they are converted into company stock. There is no uniform vesting schedule for grants. For example, 25% of RSUs might vest on each anniversary of the grant, in which case it takes four years for the employee to receive all the stock, with an installment received every year. For another grant, 5% might vest every month, in which case it takes 20 months for the employee to receive all the stock. Not only do vesting schedules differ between companies, but can differ between grants; the schedule must be separately consulted for each individual grant. If an employee terminates employment, the RSUs that did not vest are forfeited. If the company is publicly traded, stock from RSUs can be sold on the stock market, just as if the employee had purchased that same stock on the market. Many employees sell some or all stock as it vests to receive cash or pay taxes. If the company is privately held, the stock can only be sold as specified in the agreement that governs stock ownership. When and employee and spouse are getting divorced, publicly traded stock that was acquired from RSUs can easily be transferred between spouses. Such a transfer is not be possible if the company is privately held and its stock is subject to transfer restrictions. 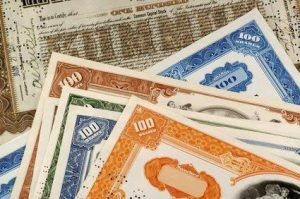 No capital gains or losses are incurred at the time of divorce; the basis in the stock (the value at the time of vesting) stays with the stock. Unvested RSUs cannot be transferred between spouses in divorce—but they must be considered in divorce. Once a company has fulfilled its obligation to issue stock, vested RSUs can be disregarded in divorce. What gets considered is the issued stock; if that stock was sold, then the proceeds from the sale of stock can be considered. Unvested RSUs, however, must be considered in divorce. At a minimum, unvested RSUs must be addressed in the divorce paperwork. Like other contractual rights, RSU grants are considered to be “property” under Washington divorce law. If not addressed in the Divorce Decree or Separation Contract, unvested RSUs will be considered to be jointly owned. From a financial standpoint, unvested RSUs can be considered to be an asset. They can also be considered to be future income. Both are correct, but not at the same time to prevent double-counting. Regardless, any amount used during discussions will likely be inaccurate because (1) future stock prices cannot be predicted, and (2) the employee might not be employed on future vesting dates. Because of these variables, unvested RSUs are perhaps most accurately addressed by treating them in the divorce as fluctuating, with values not determined until vesting. In some circumstances, for divorce purposes a couple may wish to consider unvested RSUs as property that has a fixed value. Doing so might be beneficial if each spouse has a different ability or willingness to tolerate risk of loss. By using a fixed value, the employee spouse is betting that the future realized value will be equal or higher than the amount used for the divorce settlement. The non-employee spouse will be trading the possibility of a future increased stock price in return for certainty. If the employee spouse can tolerate the risk of loss, and the non-employee spouse cannot, then this trade may be beneficial to both spouses. If there is spousal maintenance (alimony) or child support, future vestings should be considered. Many companies grant RSUs on a recurring basis to some employees. Those future grants are part of the compensation available to that employee from which to pay support. Because the amount of this future income is not determinable, one option is for support to be based on a formula or percentage of future vestings. If considering that option, then it is important not to also divide those vestings as property. Otherwise, the same dollars would inappropriately be divided twice—once for property and once for support. It is important that both the legal and financial aspects of RSUs be carefully addressed, and that possibilities appropriate to your unique situation are explored. There are both considerations and possibilities that are not discussed above. It is best to work with a divorce lawyer and other professionals who understand both the financial and legal aspects of these issues.